Made it through testing today without passing out. Pretty fantastic, this is the first follow up since my surgery in 2008 where I haven't had one fainting event. Results and consult will be tomorrow. 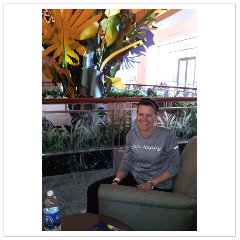 Photo is from 'The Tree' in the Mays building at MD Anderson. A familiar sight to anyone who spends much time here.